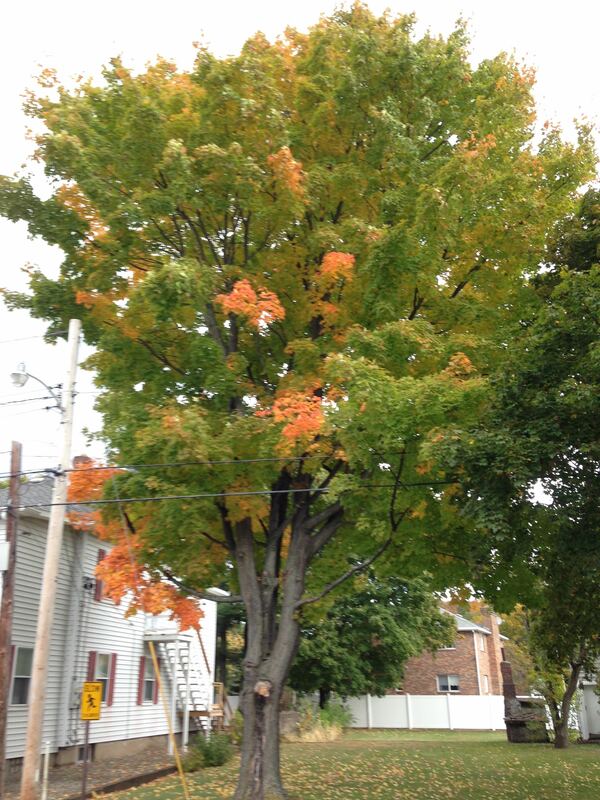 It’s finally getting to be Autumn here in New England, though with 80 F degree temps, you’d never know it. I’ll be performing some shows this month, two in Massachusetts and two in Ohio and it’ll be great to travel and see fall foliage on this trip. The photo isn’t exactly in my backyard, but close to it (it’s across the street). All details for each show are listed on the calendar and on the schedule to the right. Tonight I’ll be on WICN Radio’s “Folk Revival” hosted by Nick Noble. The program starts at 7 PM. You can listen ONLINE here. This Saturday, I’ll be in the town right-next-door, Worcester, MA at John Henry’s Hammer Coffeehouse. The show starts at 7 and local duo Owengale will be opening the show. Afterwards, I get to drive 10 minutes back to my house and be in my own bed for a change! Next week, I travel to Ohio, first to Cleveland Heights on Oct. 18th where I’ll be back in my dear friend Sue Hannibal’s house concert series. 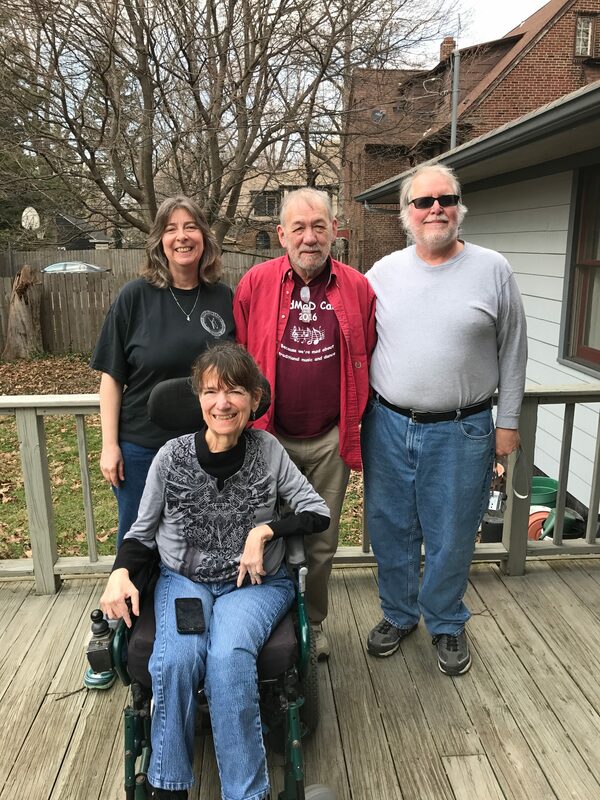 Sue has hosted me (and also myself and John Roberts) a number of times and it’s always a treat to perform for her friends and others in Cleveland Heights. The photo is from my last visit with John. 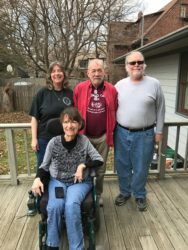 Pictured are John, Gerry (Sue’s husband) Sue and myself. Then it’s on to Marietta, OH where I’ll be singing for my good friend Suzyn Mills, her husband mark and many of their friends at their lovely home on Sunday, Oct. 21. They hosted me a couple of years ago and it was such a wonderful time that we thought we’d do it again. 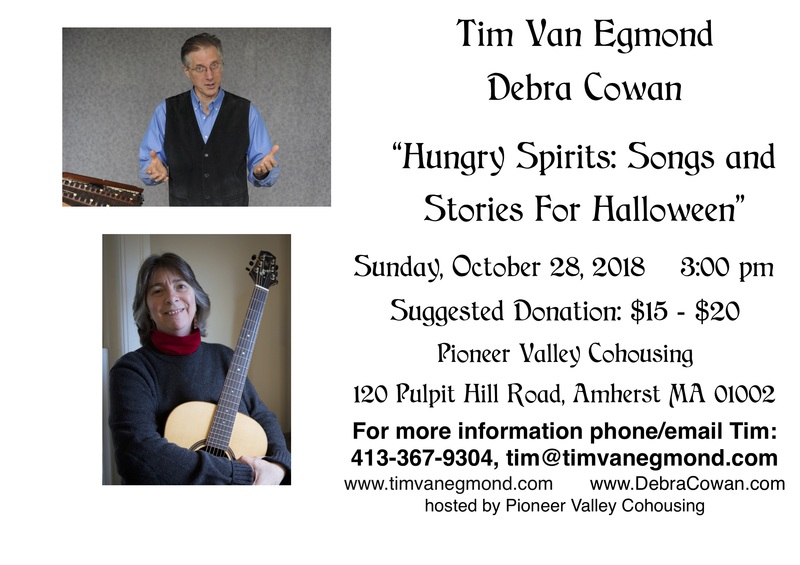 Lastly, on Oct. 28, I’ll be teaming up with my good friend and fellow Local 1000 member, Tim Van Egmond for a performance we’re calling “Hungry Spirits: Songs and Stories for Halloween” Click on the graphic to get a closer look. Hope to see some of you at one of the shows!